At the Geneva International Motor Show 2018 Citroën displayed the six new models of their new look range. The display reiterated all aspects of the Citroën's new brand look drawing on the brand’s DNA, sharing a bold design with a unique character and overall comfort inspired by the Citroën Advanced Comfort® programme. The automotive icon, the Citroën Berlingo, has been updated and made its debut to the world at the Geneva Motor Show. The new model offers optimum combination of design, comfort and ease-of-use while remaining true and faithful reflection of the brand's new signature, ‘Inspired By You’. Superseding the Picasso range name, Citroën introduced the new SpaceTourer range name. C4 Picasso and Grand C4 Picasso will be renamed C4 SpaceTourer and Grand C4 SpaceTourer respectively. The C4 SpaceTourer, Grand C4 SpaceTourer and SpaceTourer were brought together to create a modern range that can transport up to nine people with a unique level of comfort. The new C4 Cactus Hatch made its debut international motor show at Geneva Motor Show. The C4 Cactus Hatch continues to stand apart and move up in the market with its unique personality and advanced levels of comfort due to its upgrade in technology. 'Comfort is the new cool' with the C4 Cactus Hatch as it is the first model in Europe to feature the Progressive Hydraulic Cushions™ (PHC) suspension system and also the first vehicle in the world to feature Citroën’s Advanced Comfort seats. The brands 'magic carpet ride' effect is now accessible for all! 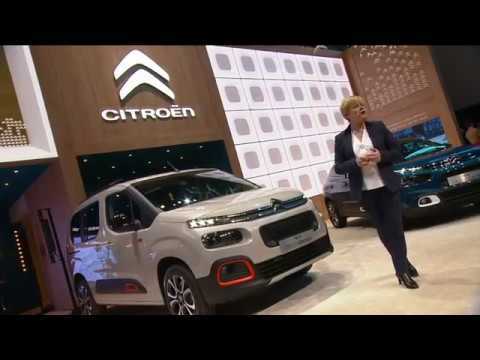 Both the C3 and the C3 Aircross are an excellent example of the success of Citroën 's new brand positioning as the C3 alone has achieved 300,000 sales. Discover a new generation compact SUV, with the C3 Aircross, offering unrivalled spaciousness and interior versatility. The new design boasts an elegant, dynamic and individual style with its originality and advanced level of comfort.